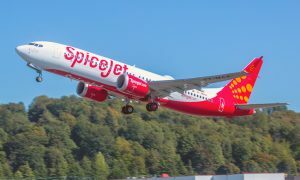 SpiceJet has increased frequencies in existing sectors and upgraded seat capacity on various routes across its domestic and international network to service additional demand from growing markets. 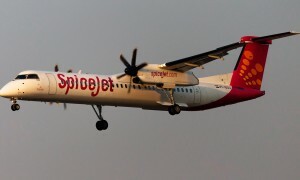 SpiceJet will operate a renewed winter schedule adding ten new daily frequencies on its domestic network encompassing some very popular routes such as Chennai-Kochi (fourth direct flight added), Bangalore-Vijayawada (second direct flight added), Kochi-Chennai (fourth direct flight added) and Hyderabad-Vijayawada (second direct flight added) among others. On its international network, the airline will be reinforcing its frequencies on the Delhi-Kabul route by increasing its operations from three days a week to five days a week. The enhanced flight schedule for this route will be effective from 08 February, 2016. The airline has also increased the capacity on selected domestic routes by replacing its Bombardier Q400 which has a seating capacity of 78 seats with Boeing 737 which can accommodate 186 passengers. This upgrade would be operational for six days a week on routes such as Delhi-Varanasi and Delhi-Dehradun among others.